Apparently there is a new Russian botnet floating around by the name of Amadey. Despite the very high price tag on Russian forums, it is a very simplistic bot that is quite honestly poorly made. Sample given by a friend. The payload was not spreaded directly but rather was packed with a crypter. The crypter seems to be TitanCrypt, based on the storage method (appended section which contains the payload which was encrypted and then base64 encoded). 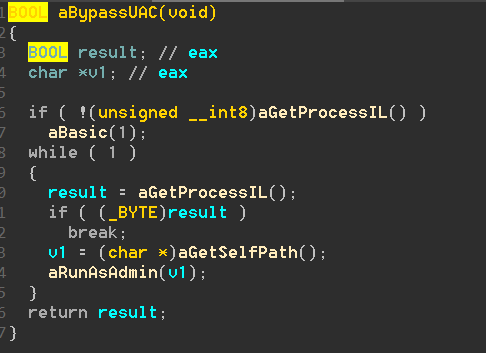 The crypter’s code is encrypted using a self-decryptor as well as heavily obfuscated, and is executed by using windows API callbacks. The code is put into a layer of self decryption loop, after which we jump into a very obfuscated region of code. 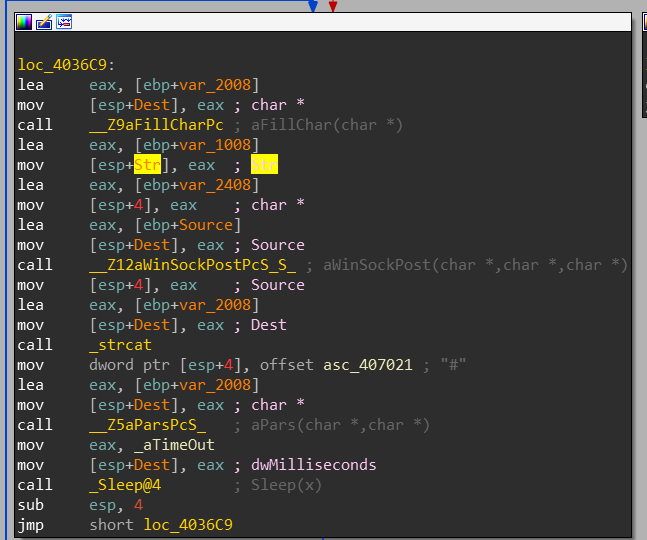 After some (and by some I mean a lot) of manual analysis, the important code where the payload is decrypted is identified. 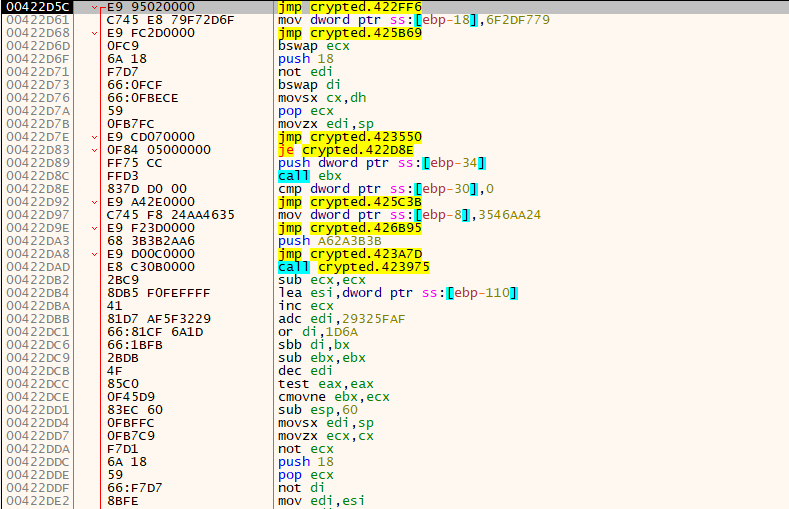 Stepping over the call, we see the region decrypted rather clearly. Dumping this, we get the actual payload. The bot is not too interesting, it is in fact very simplistic. I would write more about the bot but…there is nothing else to write about. The programmer was nice enough to ship the file with symbols for us, making things a lot easier and in the process of doing so defeated the point of him encrypting strings. All files are available on virustotal and virusbay as usual.